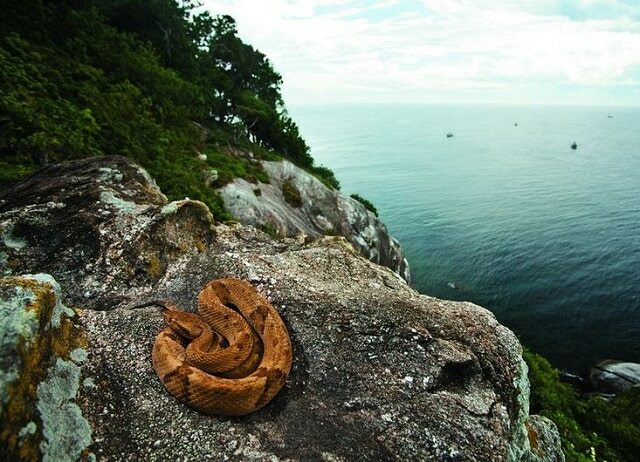 Located off the coast of Brazil, this island is home to thousands of Golden Lancehead Vipers (hence the nickname Snake Island), one of the most venomous in the world. A lighthouse keeper used to be the only human inhabitant on the island but the Brazilian Navy has since made the island off limits to civilians. Click the next ARROW to see the next image!